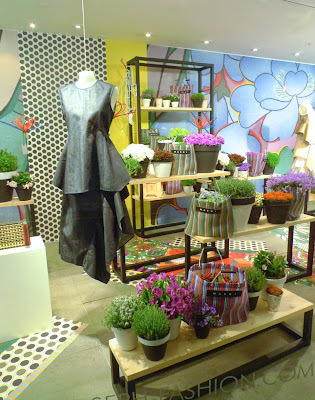 In conjunction with the pending Chelsea Flower show, Joseph have recently launched their Marni Flower Market at their store along Fulham Road here in the centre of it all. The installation is an interpretation of Marni's SS15 20th Anniversary which took place in the 18th Century Rotunda Della Besana's colonnaded gardens in Milan alongside their catwalk show. Joesph are also launching an in store pop up flower stall by Roni Fleurs which will be directly behind their windows and visible as you enter the store. 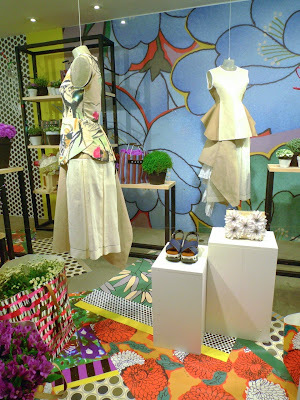 The pop-up launches today and until 23rd May.